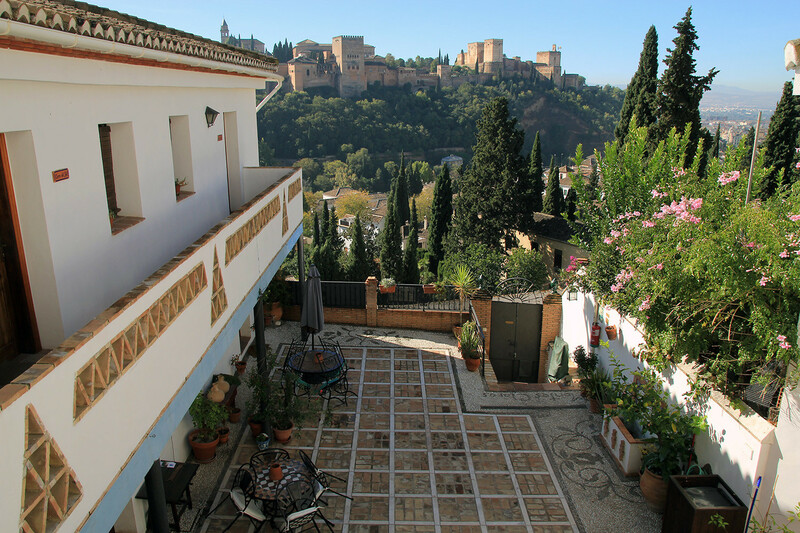 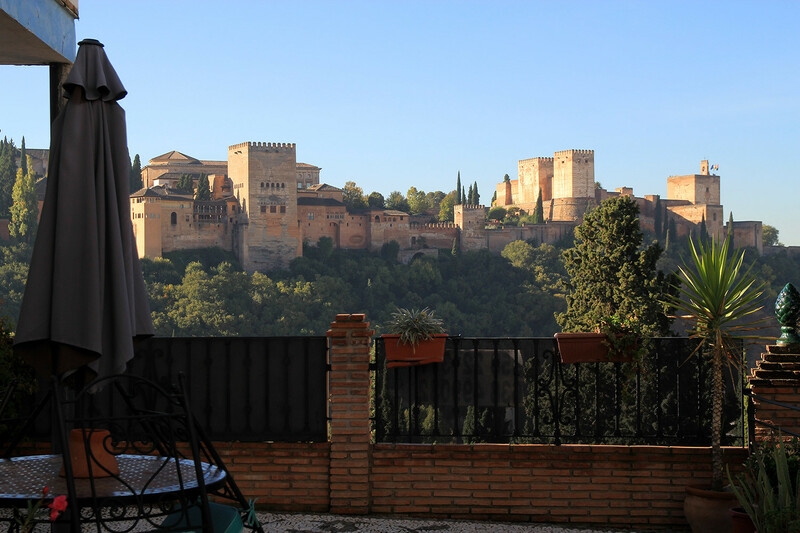 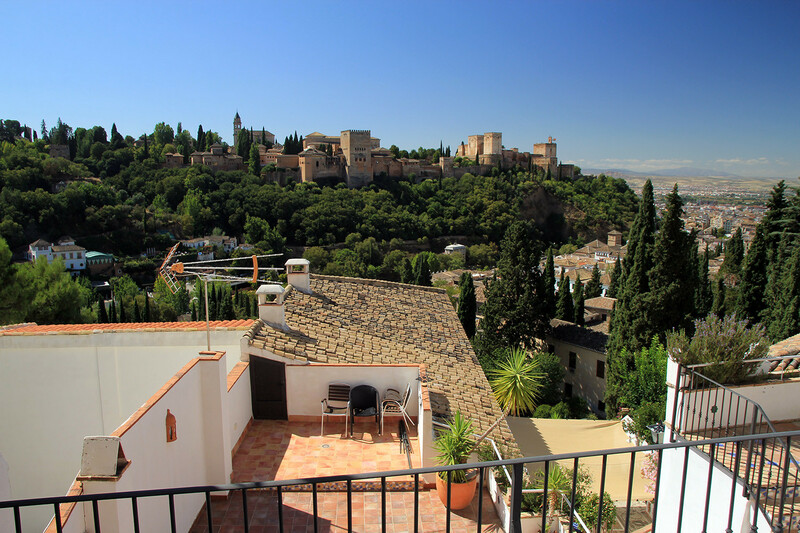 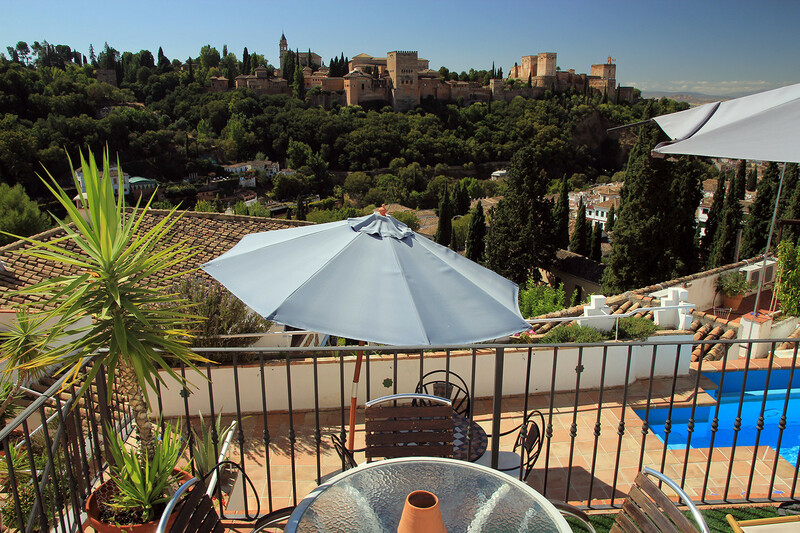 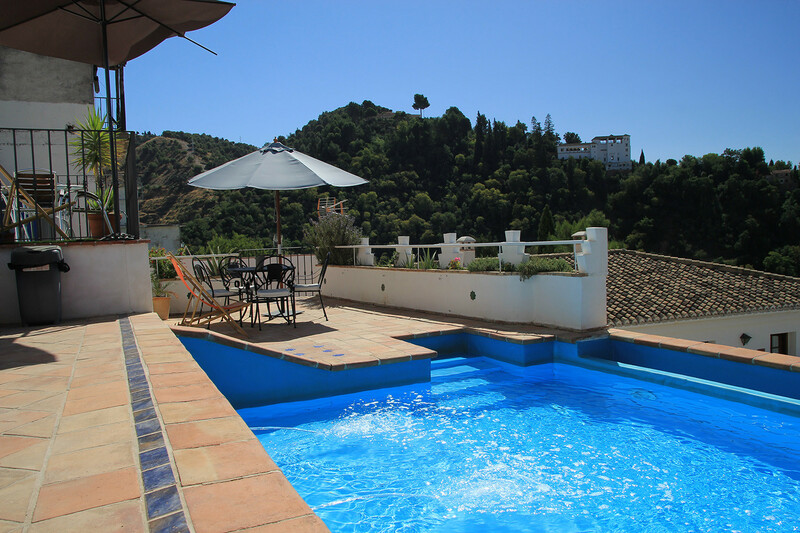 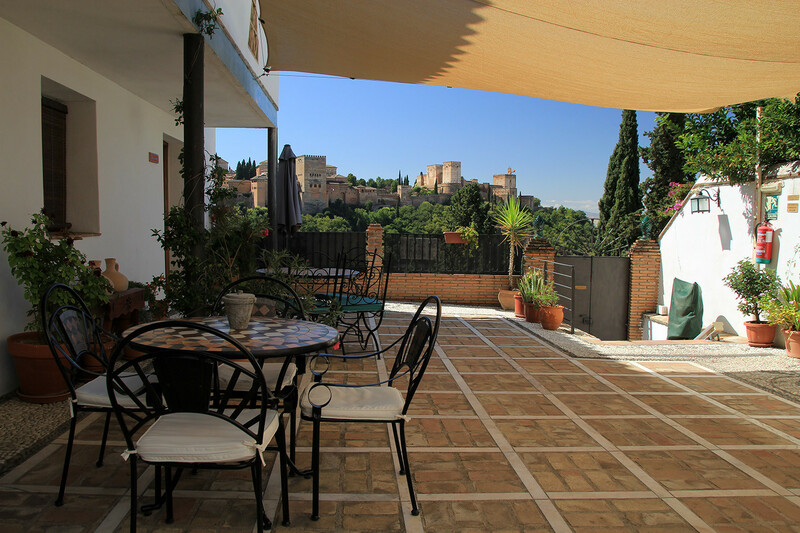 Enjoy the unique experience of staying in an authentic cave in the historic district of Albaicin/Sacromonte and enjoy the spectacular views while swimming in the swimming pool!. 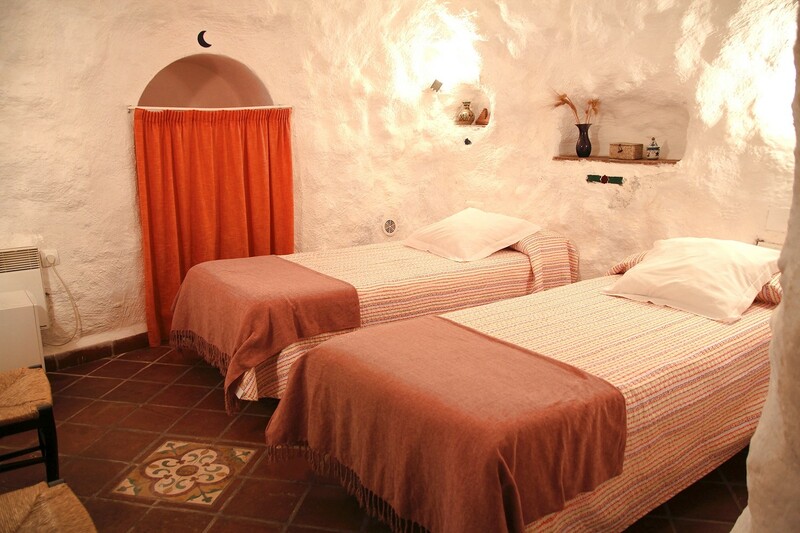 The cave has a bathroom, a living room, a bedroom, a kitchen with utensils, a refrigerator, a micro wave, etc. 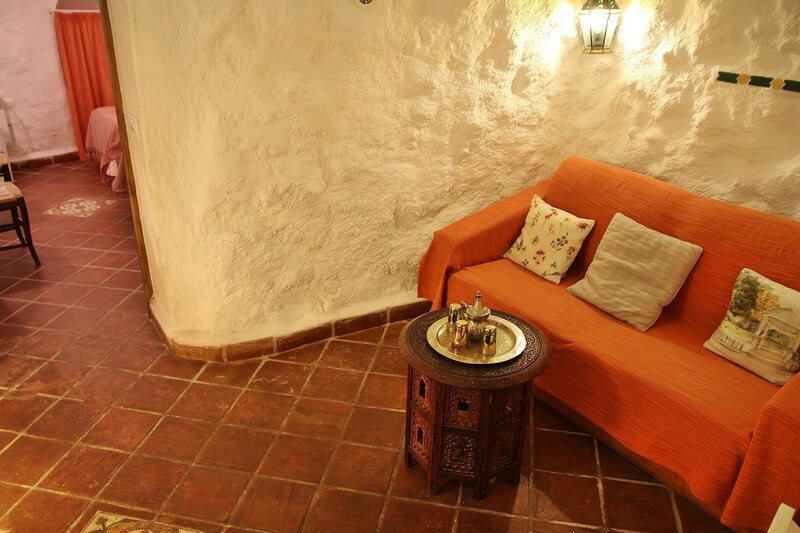 This house is part of small complex of 7 accommocations. 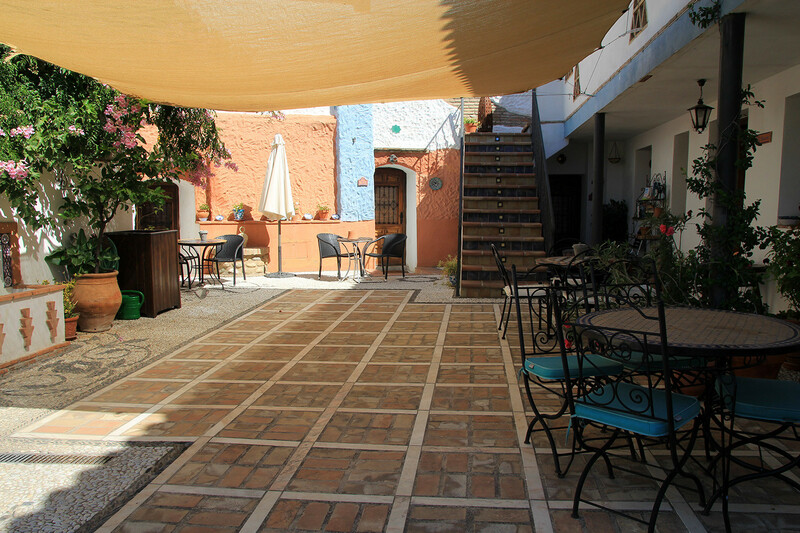 This house is part of small complex of 7 accommocations. 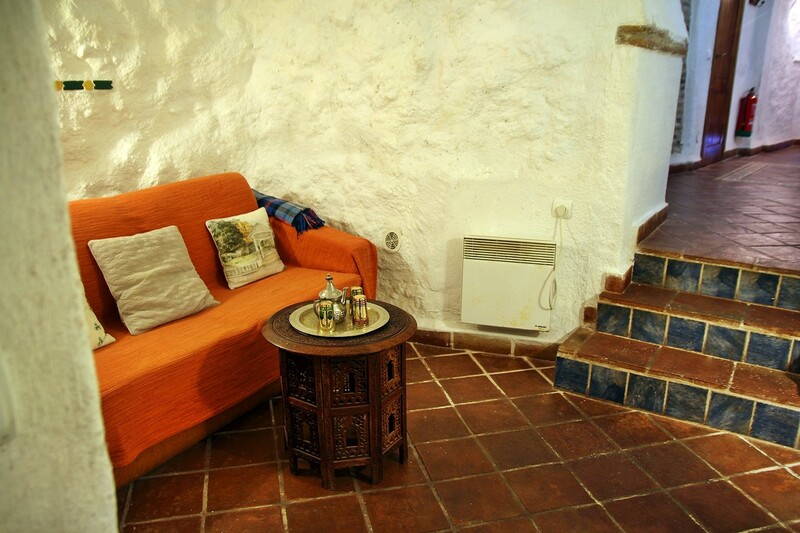 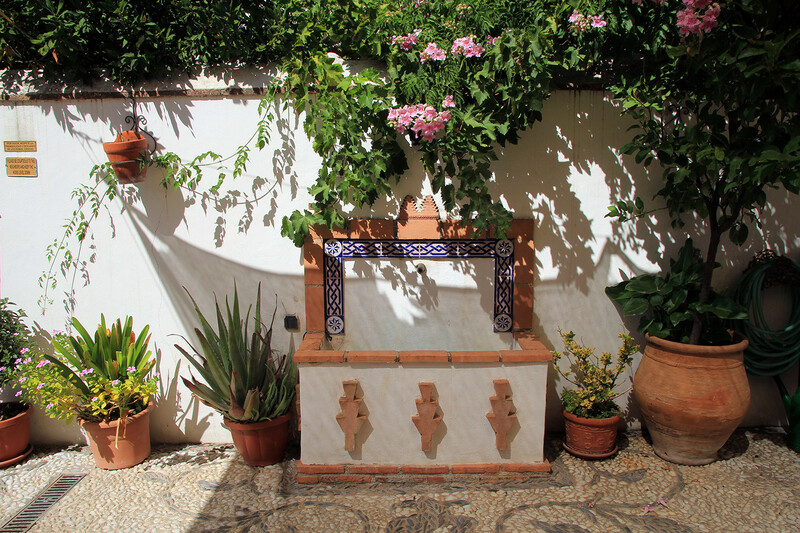 This cave house is part of a small complex that is situated just on the border of the district Albaicin and Sacromonte in Granada. 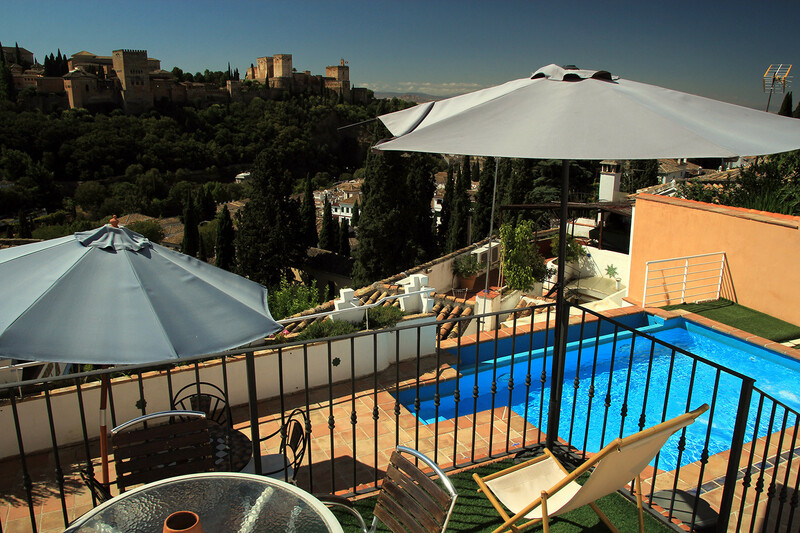 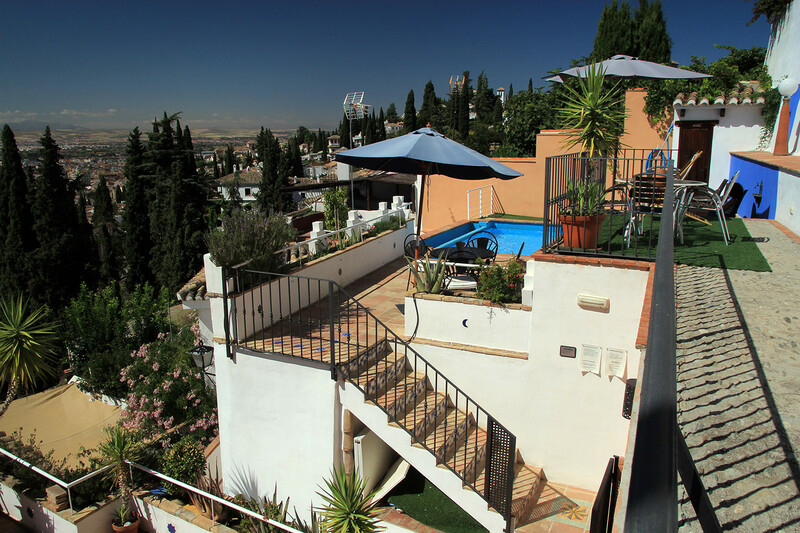 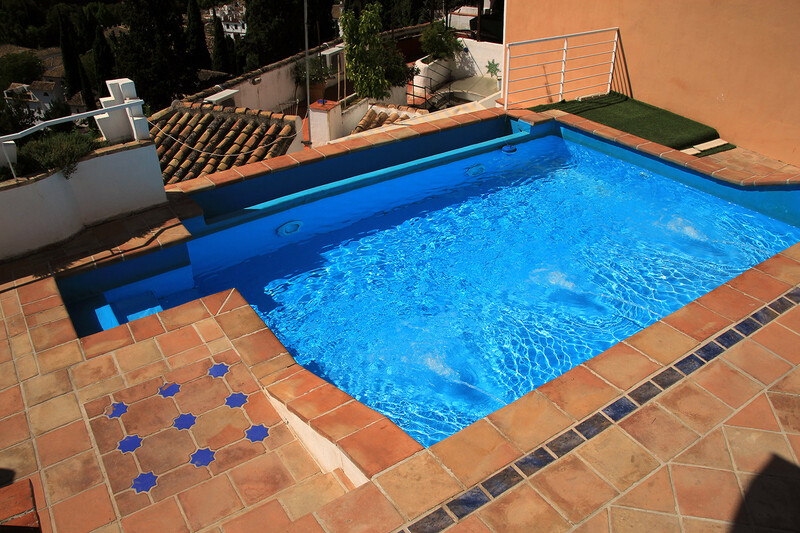 One of the privileges of staying in this complex is that you can enjoy an outside swimming pool with spectacular views and at the same time you are next to the famous district Albaicin and also not far away from the Granada city center. 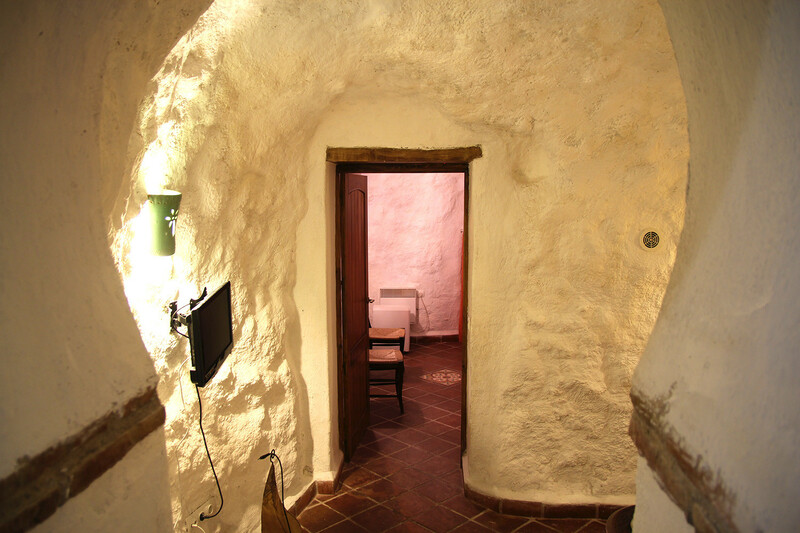 The complex has three cave houses and four apartments. 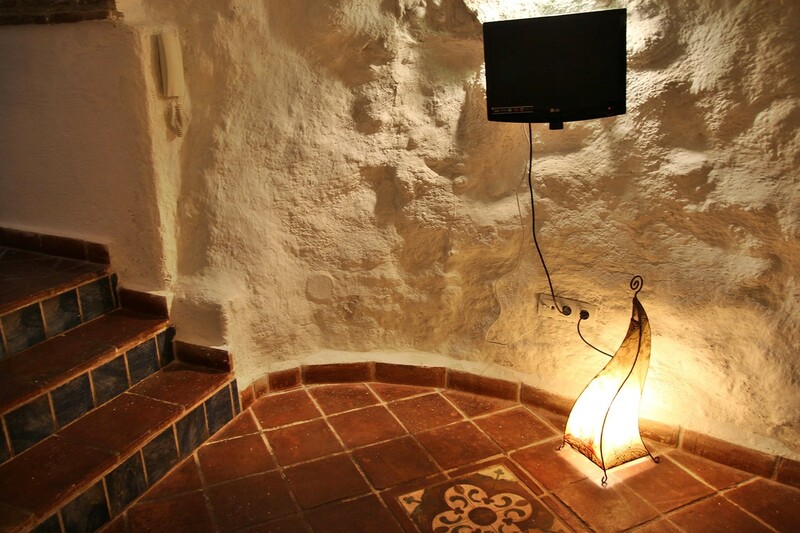 The cave house is equipped with all necessary services what you would expect of a modern house. 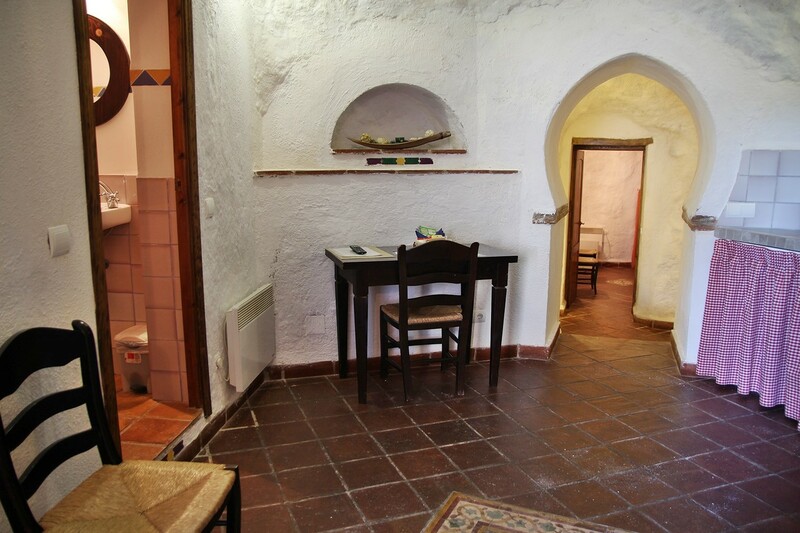 It has a living room, a bedroom, a kitchen with utensils, a refrigerator, a microwave, etc. 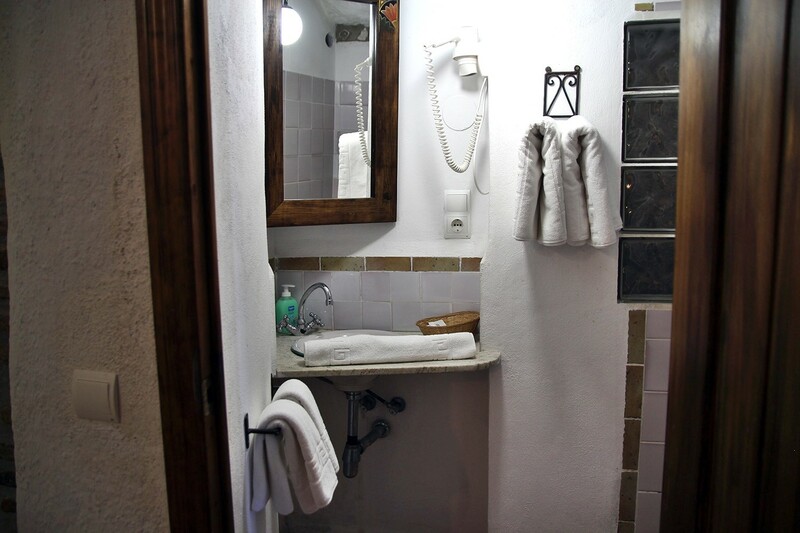 and a bathroom, The house is comfortably and beautiful decorated so you can enjoy a pleasant stay. 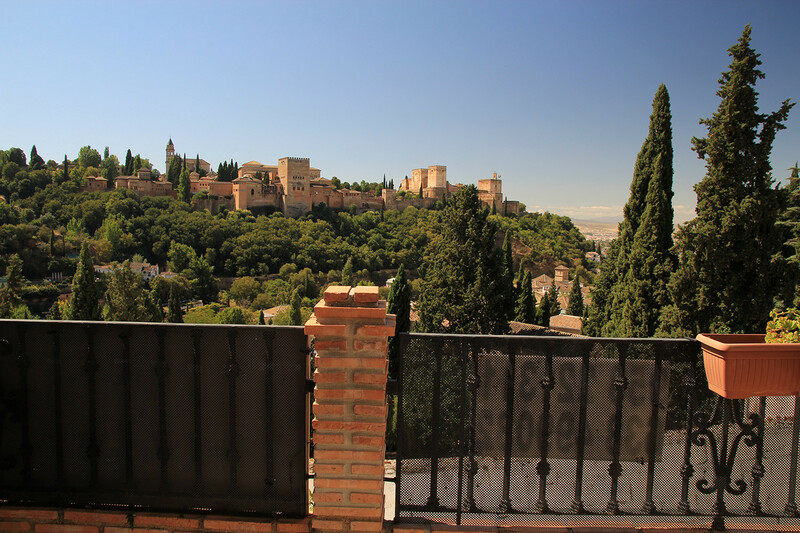 Your are in the big city of Granada, but you will hear nothing because of the thick walls of the cave. 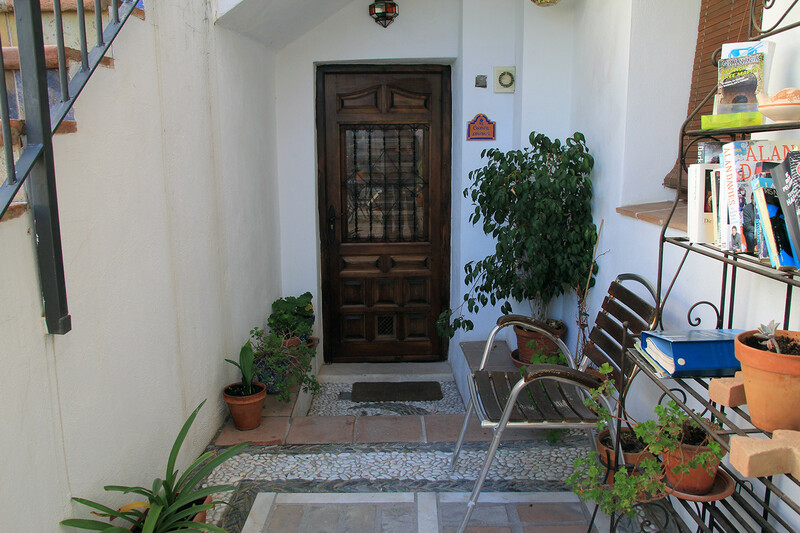 The house does not have airconditioning, because it has its natural temperature that is situated between 18 and 22 degrees. 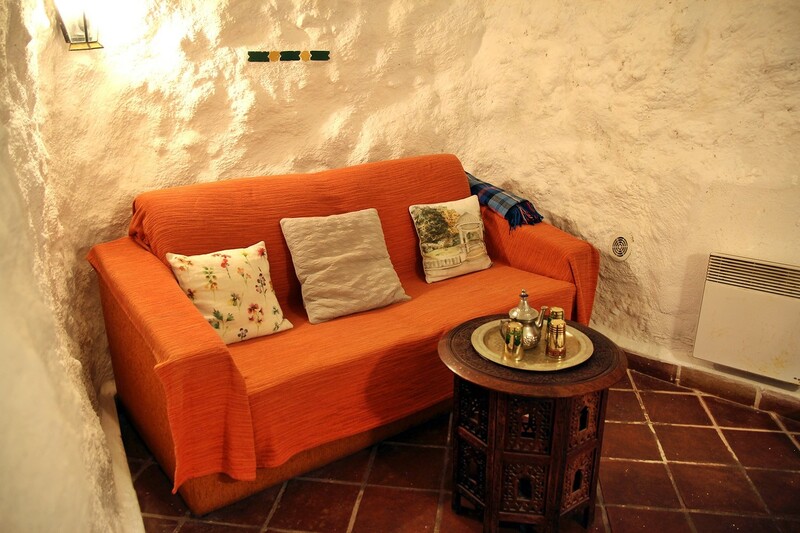 The cave house has one bedroom, but there is a sofabed for two persons in the living room. 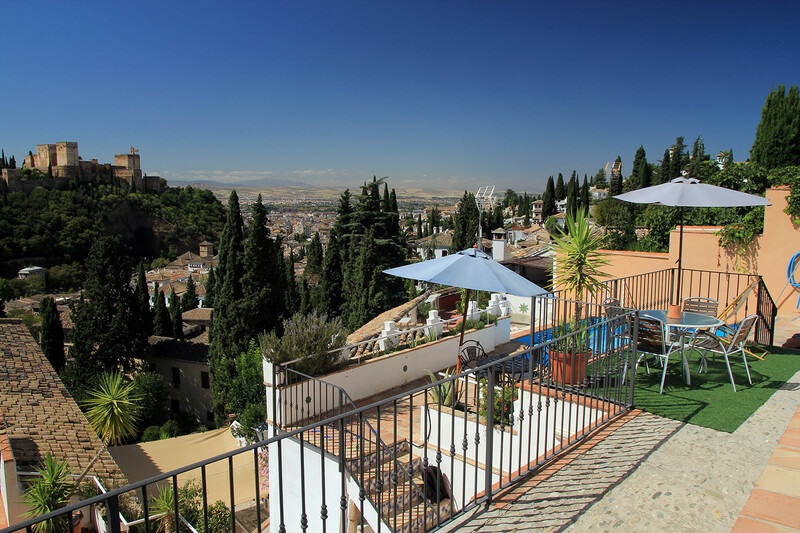 This place is an ideal base if you want to enjoy the beauty of Granada city and stay in a quiet environment and enjoy a swimming pool. The reservation is confirmed by the payment of the 50% of the total amount. 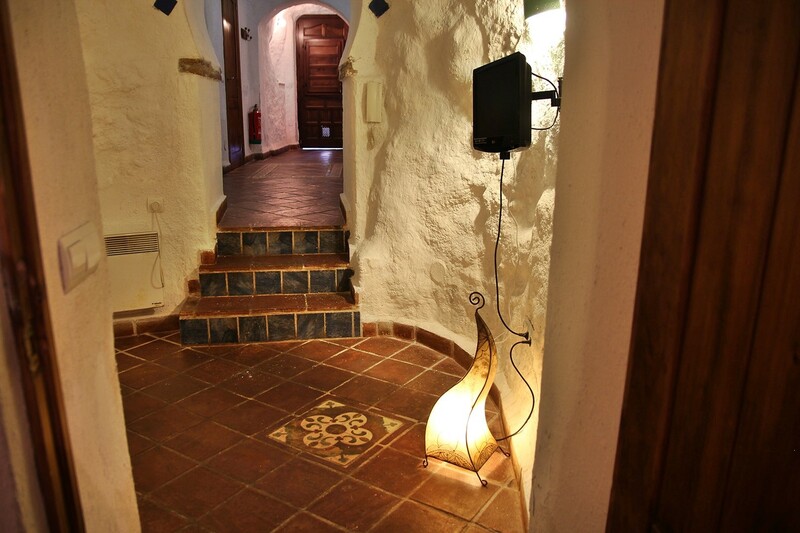 The rest shall be paid by the arrival to the apartments. 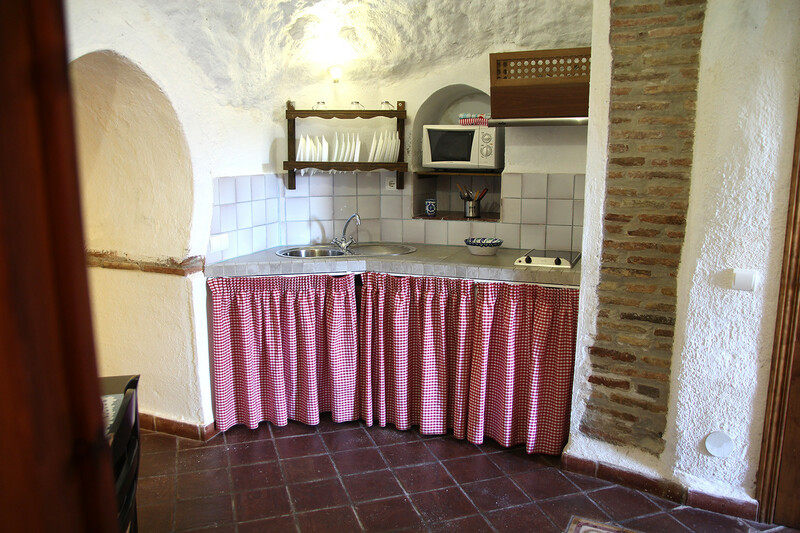 A 100€ deposit shall be paid by the check-in, which shall be reimbursed by the check-out if the apartment remains as it was by the check-in. 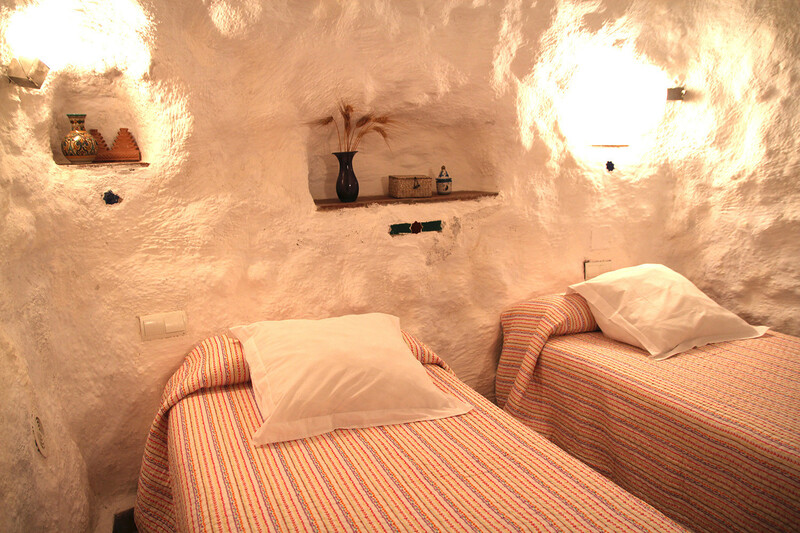 If you cancel 10 days before the check-in date you’ll be returned the amount paid. 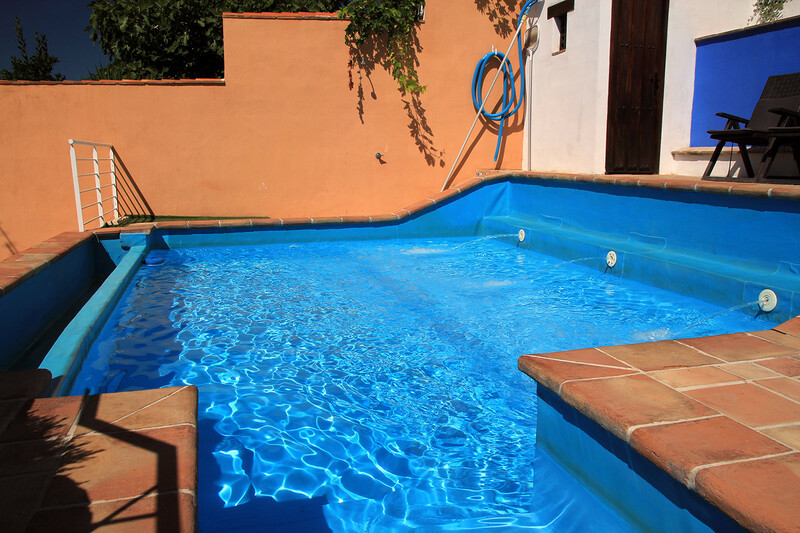 (Except for Christmas, Easter and four-day weekends). 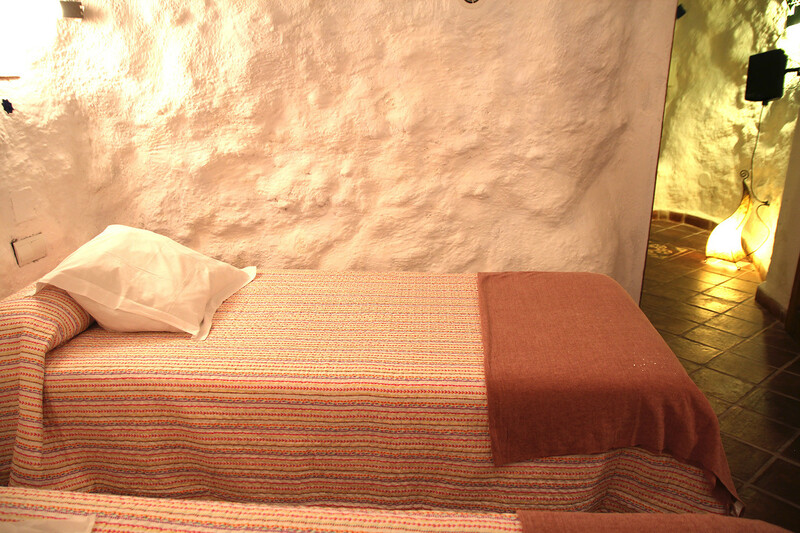 In the case of Christmas, Easter and long weekends, the cancellations made within 16 days before the check-in date, you’ll be charged the total amount paid as reservation. 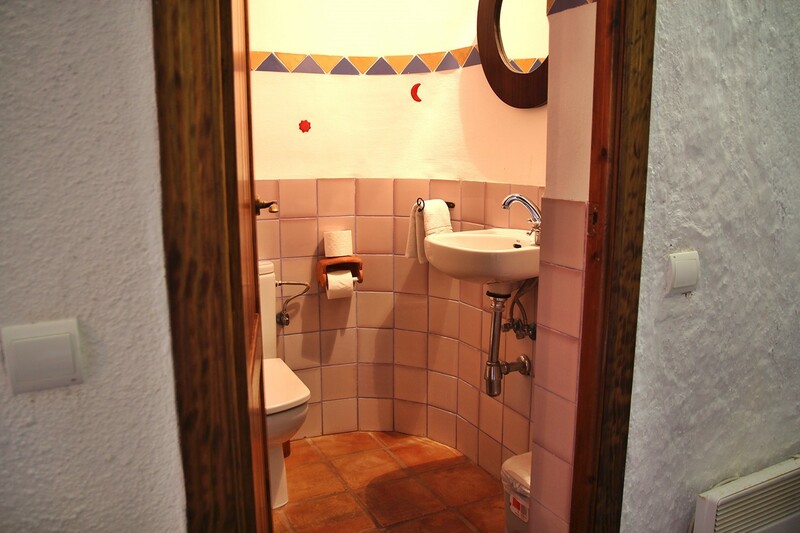 Once the reservation is completed, means the client accepts the above terms and conditions.